We interviewed Kent Hudson of Orthogonal Games to learn more about his studio and its current project. Indie Obscura's Justin Burnham recently connected with Kent Hudson, founder of Orthogonal Games, to talk about his studio and its various upcoming projects! Orthogonal Games began as a solo venture by Kent Hudson, a veteran of games like BioShock 2 and Deus Ex: Invisible War, among others. He went indie in late 2011, and began working on The Novelist shortly thereafter. 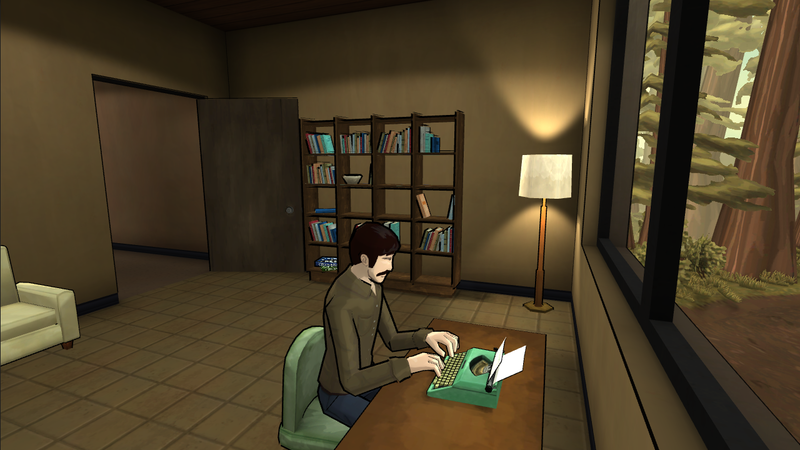 The Novelist was made with a handful of collaborators who handled voice acting and artwork production. The game, Near Death, began as another solo venture, but midway through production Kent was joined by Ryan Mattson, a full-time designer, and Alex Munn, a part-time artist. The project was rounded out once again by contractors contributing artwork and voice acting. How did Orthogonal Games come to be? "I’d stop short of calling it an accident, but it definitely didn’t come from a grand design. 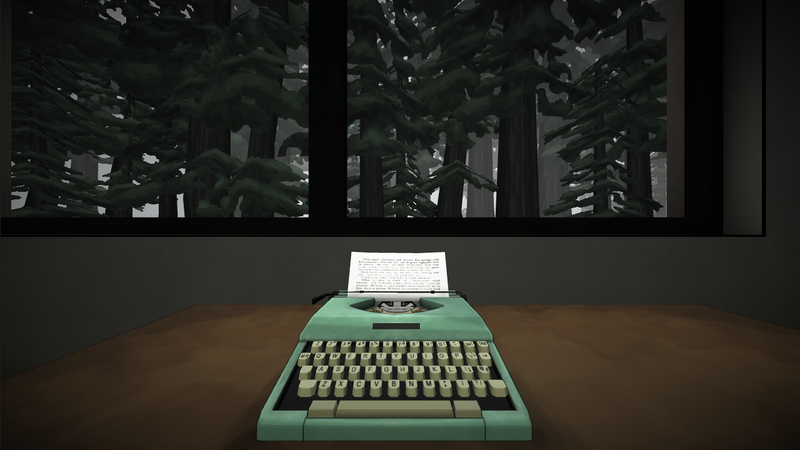 I reached a point of creative stagnation after spending more than a decade in AAA development. There weren’t any companies in the area that I wanted to apply to at the time, so I took the leap into indie development because it was the only remaining option. And although I didn’t have a plan beyond “quit my job and figure the rest out later," I quickly fell in love with independent development and forged ahead on projects that were creatively fulfilling to me." Where did the idea of Near Death come from? "I’ve always been fascinated by extreme places; I often fall down rabbit holes on Wikipedia and start reading about the highest or lowest points on each continent, the coldest or hottest places, the northernmost cities with populations over 100,000, towns that straddle the border between countries, or… you get the idea. Antarctica checks a lot of those boxes, and it’s always been endlessly fascinating to me how alien of an environment it is; there are parts of Antarctica that are more like Mars than Earth. It’s the highest, driest, windiest continent on earth. It’s a desert covered in ice. Antarctica is simultaneously lethal and yet completely indifferent to human life. So I started thinking about the idea of trying to survive at an abandoned Antarctic research station, stranded and totally on your own without the hope of rescue. What would that be like? You may be familiar with the harrowing stories of explorers like Amundsen and Scott and Shackleton. 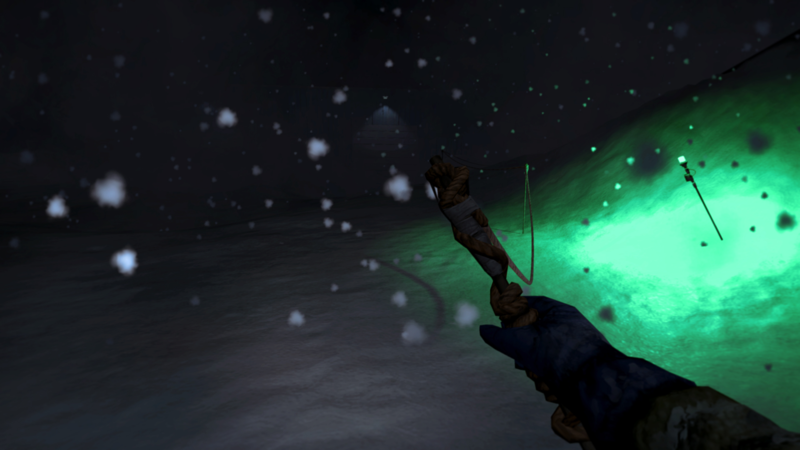 It’s impossible to imagine the sheer brutality of their journeys, but I really wanted to at least try and make a game that captured the sheer visceral intensity and terror of temperatures that can kill you within minutes, storms so fierce you literally can’t see your hand in front of your face, and nights that last six months." Can you tell us more about Near Death? "It began as a game where you roamed a large, terrain-based open world in search of supplies that you used to slowly build up a home base. You even had a drivable snowcat for roaming the surrounding area, and although the temperature simulation that’s at the core of Near Death was present, there were many other systems as well: traditional survival genre meters like hunger/thirst/fatigue, a greenhouse where you had to plant and tend food, and so on. 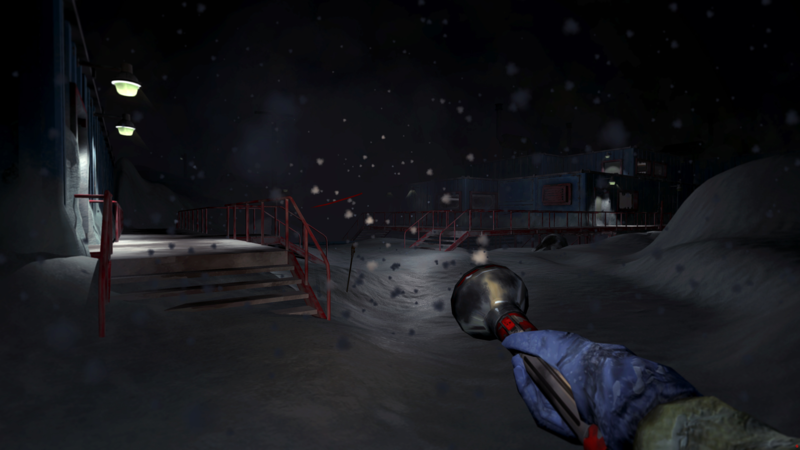 But the further the game went in that direction, the more it lost the visceral thrill of the very first prototype, which had the player simply fighting against a harsh blizzard on foot and being only a few minutes from death. So after about four months of development I rebooted the game as a story-based experience at a specific location, the fictional Sutro Station. It’s an abandoned research facility, and instead of managing a bunch of meters you instead fight for your life in a desperate attempt to escape." What are some of the highlighted features of Near Death? "The main feature, with a bullet, is the fact that you’re constantly trying not to freeze to death. The pervasive cold of the environment, with temperatures reaching 100 below zero, means that you’re always thinking about your body temperature. The temperature is simulated on a per-room basis, so if you enter a building and forget to close the door, the room you’re in will begin to freeze and you’ll freeze with it. The cold travels from room to room, but you have a portable heater, so everywhere you go you’re on the lookout for places you can hide from the creeping freeze and warm up. Sometimes the only thing saving you from death is a broom closet with a door that works. It’s terrifying to always feel like you’re on the verge of death. 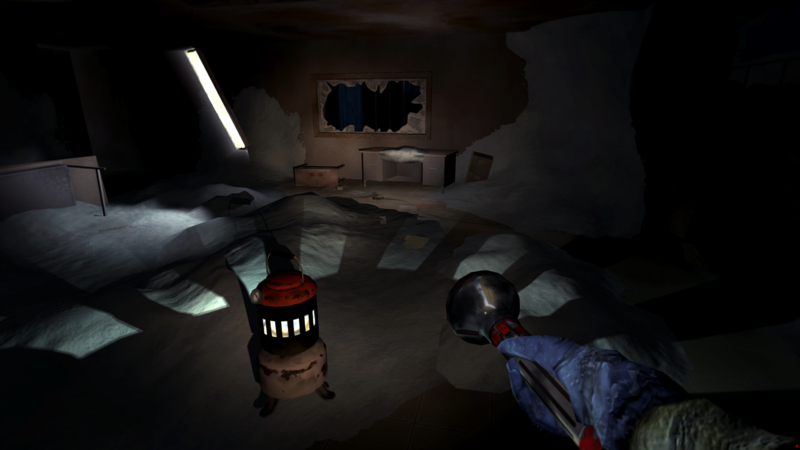 And we have a variety of other fun tools that help you navigate the destroyed base: a blowtorch you can use to melt frozen objects to open new paths and gain valuable supplies, light poles you can plant on the terrain to mark your path in total darkness, rope trails you can create to keep yourself from being blown over by the wind, and so on. And there’s also a lightweight crafting system that lets you." In what ways is Near Death different from other titles within the genre? 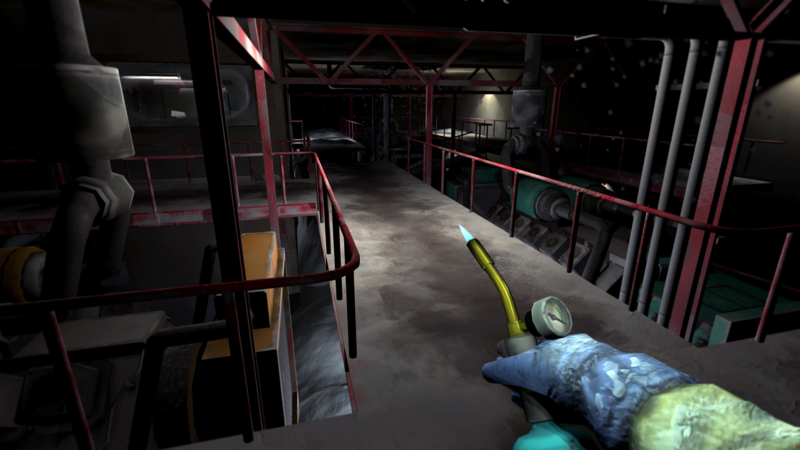 "In short, although Near Death is a game about surviving in terrifying conditions, it isn’t what you’d think of as a survival game. It has a story with a beginning, middle and end. It doesn’t have any on-screen meters; there’s no hunger/health/fatigue. You know you’re getting colder by strong visual effects and your character’s voice. And instead of focusing on long-term management or an endless crafting sandbox, Near Death is all about the intense, visceral, moment-to-moment thrill of battling incredibly punishing weather conditions. I know it’s a bit of a cliche to say this, but Near Death doesn’t fit into any pre-existing genre; it’s a game where every single feature is designed for the specific scenario of the game. We actually wrote a blog post recently that explains what exactly the game is, if you’d like to take a bit of a closer look." When do you hope to release Near Death and on what platforms? "Near Death is coming to Windows, Mac, and Linux on August 2nd! You can buy it on Steam or the Humble Store! We plan to port it to consoles once the PC release is finished." What's next for Orthogonal Games? "Who knows? There’s of course the practical and financial angle, where what comes next is determined by the financial success of Near Death. But even putting that aside, it isn’t like we’ve got a 10-year plan. If we’re lucky enough to get the opportunity to make another game, we’ll sit down in the next few months and start brainstorming the next challenge we want to take on. 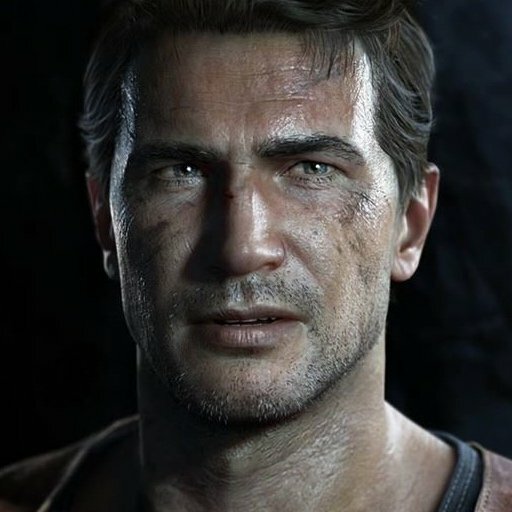 One thing I can say for sure is that, just like with The Novelist and Near Death, the next game will be a unique concept that features one-of-a-kind gameplay." What's your "Desert Island" game? "I thought about this one long and hard. I swear, I spent almost half a nanosecond coming up with the answer: Deus Ex. It’s the reason I make games. It’s the reason I have a job in the industry. It’s my favorite game of all time. 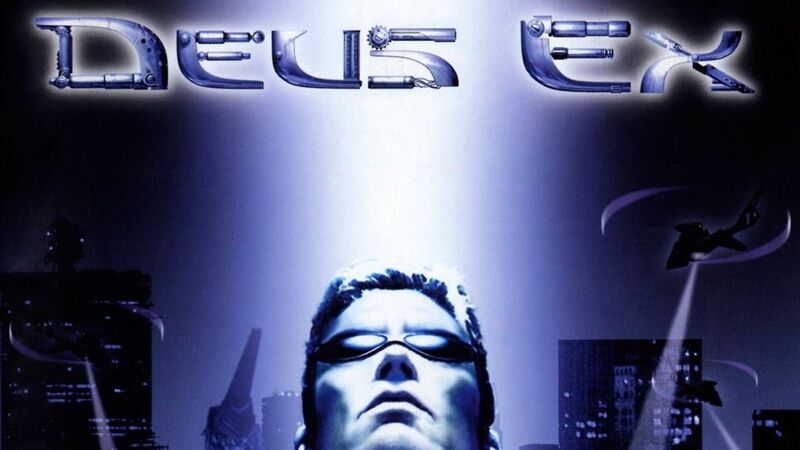 I could go on, but I actually wrote about my feelings for Deus Ex a few years ago." For more developer interviews here at Indie Obscura, be sure to check out our interview with Vile Monarch's Grzegorz Mazur and Kacper Kwiatkowski to learn more about their game Crush Your Enemies. We also interviewed the developers at NoClip Studios about their new game Zombie Night Terror. Love Gambitious? Check out our interview with Gambitious founders Mike Wilson and Harry Miller to learn more about their gaming philosophy.